We use solid 38mm European pine framing and 420gsm heavyweight premium archival-grade canvas. In simple terms, this stuff’s perfect for fine art and photography reproduction, and is all hand-made to ensure your canvas prints last a lifetime. *You get free delivery on any order over £20, and our Love It! 100% Happiness Guarantee ensures your custom canvas print is safely and securely packed, so it reaches you quickly and in perfect condition, ready to hang. Why choose Parrot Print Canvas? You want the best quality stock and material for your new artwork, and we only use the best. Our premium, the archival-grade canvas is designed to last, with photo-quality ink and lacquer so your colors stay vivid and fresh, no matter where you hang your print. Our frames are made strong, so they survive the knocks and bumps of everyday life. Our print experts are available for any minor adjustments you need, so you get a canvas print you’re proud to hang in your home. With super-fast next day tracked delivery, free delivery anywhere in the UK, and our Love It! 100% Happiness Guarantee, we promise you’ll get a canvas print you’re complete, 100% in love with, or you won’t pay a thing. PRINT YOUR PHOTOS ON CANVAS NOW! A simple method to make the first edition and stay with only the best images. After a photo session or a trip, downloading cards and organizing the images is a fundamental step to maintain a certain order in our archive. Something that, however lazy it may be, involves not only releasing them in a folder but also making the first edition to discard all those photographs that we know will not be useful at all. Erase the bad is, to understand us, the best way to keep orderly and locatable good. 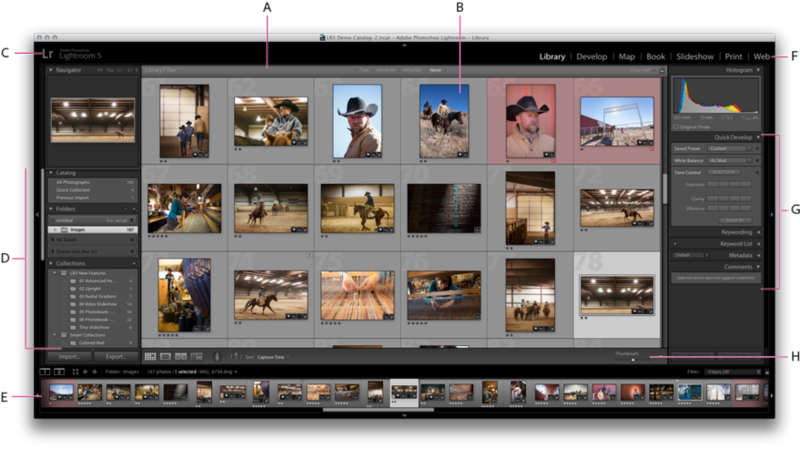 A task in which Lightroom can be of great help to us, following a simple system of classification and discards. The program has different options to classify the photos: flags, stars, color labels, and keywords. If you already have your own method, you may find here some interesting idea to perfect it. And if you do not have it, the time has come to start. To start, it is best to make a pass with all our photos to get an idea of the material we have to work. For this, it is interesting to select the option "Magnifier view" (keyboard shortcut 'E') in the 'Library' module. In this way, you will be able to see the large images. It is also very practical to activate -or check if activated- the option of the top menu: "Photography / Auto-advance". With this we will get that by assigning a classification concept (flags, stars or color labels) to the current photo, we will automatically go to the next photo. We assign a criterion for the classification of flags to each photograph. White flag (keyboard shortcut "P"): Mark the photo as selected. The criterion depends on each user, but in our case, this color means that the photo is good or possibly good. We do not enter to evaluate if it is the best image or there may be a better one because this we will do afterward from all those that show this white flag. Without flag (keyboard shortcut "U"): It does not assign any classification criteria. It can be useful for all those photos, that without being a marvel, we do not erase them directly, in the case, in the end, we need a photo. For example, if we have a general shot that is not a great photo, but we do not have any better and we need it, we will rescue it from among these photos. The concept of these photos is not to include any photo that is not good. If once we have chosen the best ones, we do not need them, they can be erased at the end, because photographically they do not provide good or sufficient quality. And surely they take up a lot of disk space. Flag rejected (keyboard shortcut "X"): We do not have to explain what a bad picture is because surely you already know what we are talking about. Does it make sense to save them and occupy space? No, if today they are bad, they always will be. Once we finish visualizing them all, we will eliminate the rejected photographs. The quickest way is to go to the top menu (in the Library module): "Photograph / Delete rejected pictures ..." or press the keyboard shortcut "Command + delete key" (Mac) or "Control + delete key" (PC). 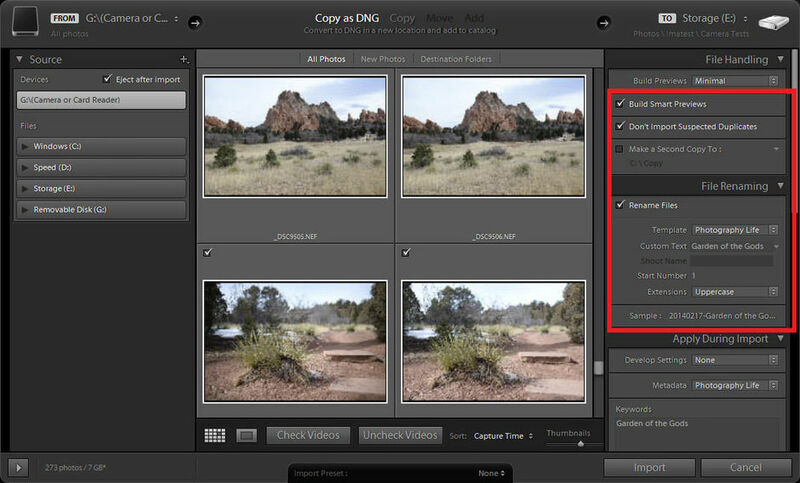 This action will show us a window that will tell us if we want to delete the photos from the disk or just remove them from Lightroom. If we remove them from the disk we will erase them really if we choose to eliminate them from Lightroom we simply remove them from the program when deleting their files, but they will continue being in the folder of the hard disk where we have downloaded them. We have already said that we do not need them at all, so it is best to erase them from the disk. Now we will use the filter of the program to select the photos that we have marked with the white flag and we will make another pass through the photos, but this time focusing only on the supposedly good photos. To see the filters we must see them in the upper part of the photos. If we do not see them, we will go to the top menu, in the module "Library: View / Show filter bar". Now in the filter bar, we will click first on the word "Attribute" and then on the "White flag". In this way, Lightroom will show us only the photos with a white flag. We will put the visualization 'View of magnifying glass' (Keyboard shortcut: 'E') and we will apply the selection criteria "Stars" or "Color labels". If you do not have a currently selected method the easiest is the traffic light. The concept is very simple, three selection possibilities: Red, yellow and green. Green (key 8): Spectacular photos. Of those, we would choose without any doubt for our portfolio or the work we are doing. Yellow (key 7): Good photos that we may possibly end up using. Red (key 6): Photos that are not bad, but of which we possibly have some better option. Possibly most of the photos marked with a white flag. With this criterion, we are very clear that, if I look for photos for a client, a contest or whatever, I will always start looking for photos with the green label. If we do not see what we need there, we will try it in the photos that have the yellow label, then red and, if we do not find it either, we will try our luck with the pictures without a flag. To further refine the classification of the photos and, for example, to facilitate the selection between two apparently very similar images, we can use the criterion of the stars. How? Assigning a star to the general photos and two to the best of them. The keyboard shortcuts for stars are very simple: 1 star = key '1' and so on until 5 stars = key '5'. To remove the stars we will use the '0' key. To choose between several photos we have interesting options that we will see in another article, such as the so-called "Comparison view (" C "key) or the Survey view" ("V" key). Once the selection has been completed, the photos have been chosen and processed, we can eliminate -if no longer necessary- the photos without flags and those with red flags. 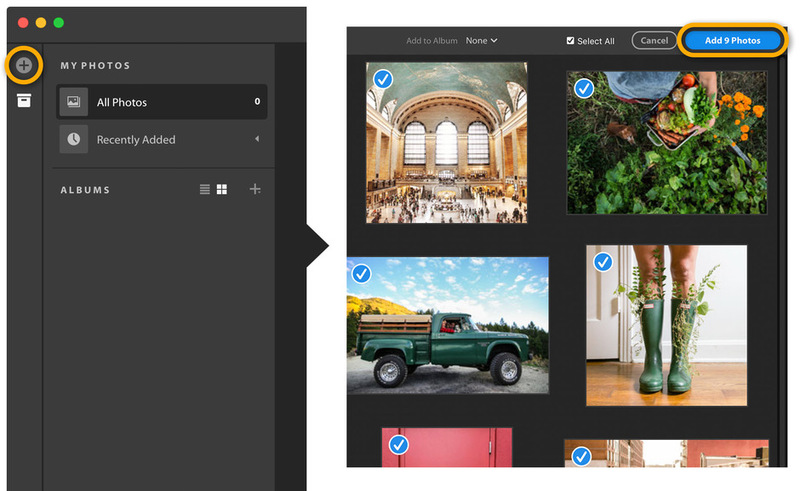 Thanks to this method we can be sure that only with selecting the photos marked with a green label will we have the best images without losing a lot of time looking for them among all our files.